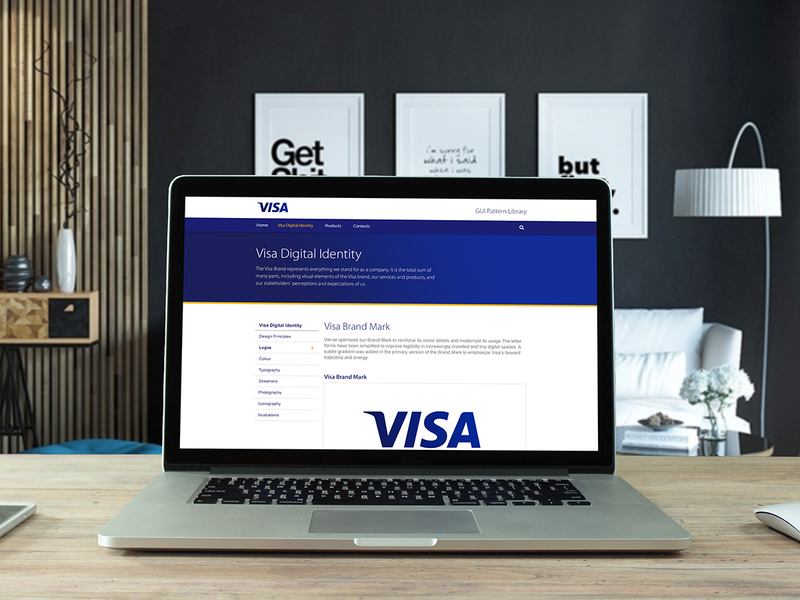 In 2014, Visa launched a refreshed brand logo—including a new tagline — “Everywhere you want to be,” compassing the strengths of Visa, past, present and future. 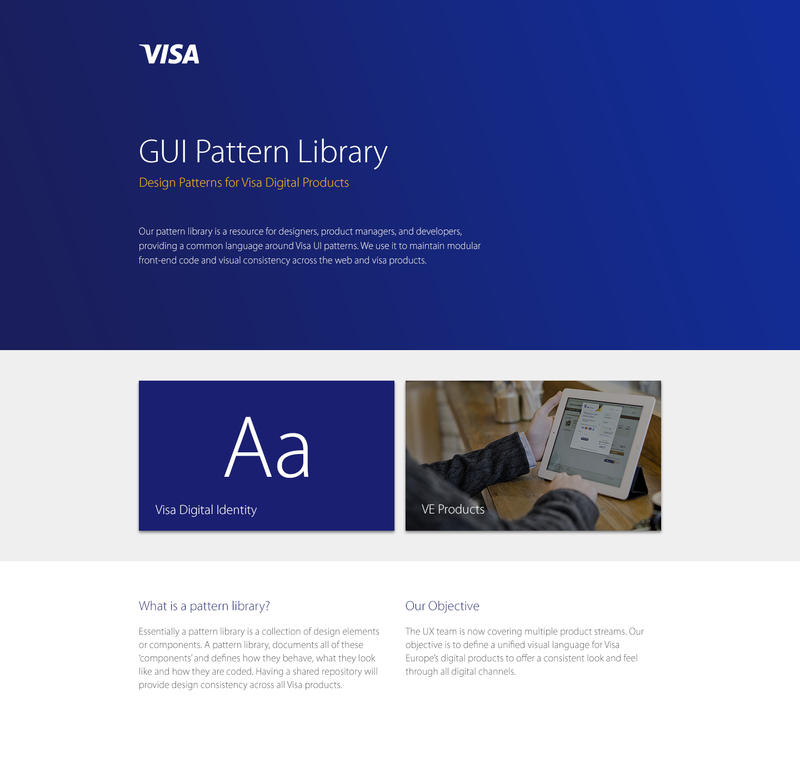 As VISA grows and evolves, it’s important that the design patterns and visual style are upheld to deliver a defined and cohesive experience. In order to achieve this, we need to have a single point of reference for all the patterns we use, so that everyone internally can refer to them. We also need a shared vocabulary of UI elements and code, to allow teams to communicate with each other in the most efficient way. That’s way we decided to collect all the new user interface design patterns and integrate those into a new Visual Digital Identity platform.